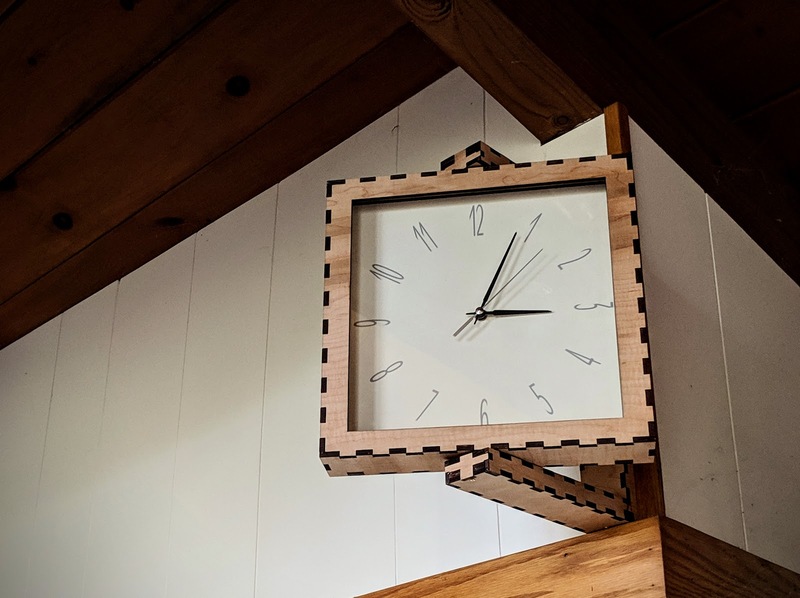 This railroad platform-style clock was made of parts from a clock that had broken. The clock mechanism, the printed face with the numerals and the bezel glass were reused in this design. 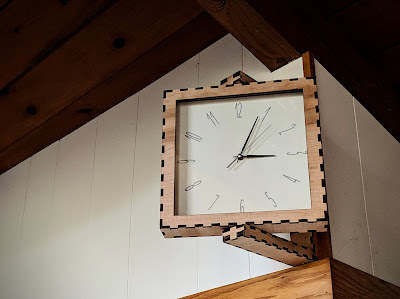 The clock face rotates manually on a vertical axis pivot mechanism. The design uses a few small screws to allow disassembly. Access to the clock mechanism for setting the time and changing the battery is through a small press-fit panel on the back face.